A, for me, unknown Sechsschartenturm 35P8 possibly on a 632 (where only three Schartes were used) was reveiled on Kystfort.com. Trondenes peninsula is a real heaven, with of course the famous ‘Adolf’ gun, a 40.6cm naval gun. The now reveiled turret covers the entrance road to the battery. 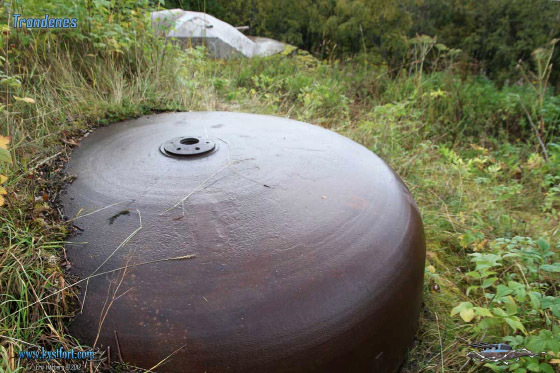 The setup of a Sechsschartenturm covering a heavy battery can also be found at MKB Fjell and Ørlandet. Another beauty is the remaining turret for a 10.5cm SK C/32, which lies nearby. The turret was made by Krupp in 1938 and it’s number 5 made that year.